It's back to Monday, and likely, back to work! Hope you all had a lovely weekend, and not too much running around - but maybe you didn't quite get to the laundry pile yet...maybe you're looking for some socks that would hold you off for an extra day's wear? Well, you may be in luck, since today's featured post is about MP Magic Socks. Focusing more on the innovative side of things, these socks integrate anti-bacterial qualities into their composition. Here at The Sock Review, we admire the spirit of innovation, especially when it comes to socks! The socks come in 3 colors and 2 different silhouettes; we received the grey ankle and black crew styles to try out for ourselves. From a design perspective, we think the MP Magic Sock successfully approached a functionally-sound design aesthetic. There are no unnecessary lines or patterns here that do not serve a purpose. We like how this style's design stays true to highlighting its functional aspects. From a comfort standpoint, we didn't have any complaints. For a women's U.S. 6.5 shoe size, the fit was just right, and I didn't have issues with them falling off (I wore them 2 days straight to test for myself). The crew sock fit well on a men's U.S. shoe size 11. The ankle pair has added arch support, which helps in keeping the sock on during activity, and is a popular feature among athletic socks. The main feature of the Magic Socks is the odorless and anti-bacterial quality; utilizing three different metals that are infused into the material of the sock - copper, zinc and silver. We're not scientists, so we can't make any specific claims ourselves - but we love the approach MP took to utilizing multiple metals that have anti-bacterial properties. They have also integrated a mesh section in the ankle style (you can see the lighter grey) that helps for breath-ability in the sock. This is something we find in a lot of athletic or performance socks, so definitely a great addition to the active silhouette. Overall, we love the innovative spirit of the product, so be sure to check out their online store for more information on MP Magic Socks! Link below. Disclaimer: The Sock Review was provided a free product in return for an honest review. All thoughts and opinions expressed herein are my own and not influenced by the developing company, and/or its affiliates, in any way. The Sock Review does not endorse any product performance claims. A special holiday feature post from The Sock Review - bringing the sock community together. Good morning sock fans! Hope you are having a wonderful Wednesday; here we are at mid-week, feeling quite grateful for all of the wonderful support we've been having lately with our project. In the spirit of the holiday season - a great time to 'give' a little more than you 'get' - we decided to highlight some sock brands that are giving back to their communities...one sock at a time! Read about our featured brands below, and enjoy! We love the "vision" that this brand has for helping others. Homeless shelters are always in need of socks, so for every package of socks you buy, Vision Socks will donate a pair of socks to a homeless person in need. They have partnered with The Joy Of Socks to get socks where they are needed most! Want to support their vision? Read more, here. 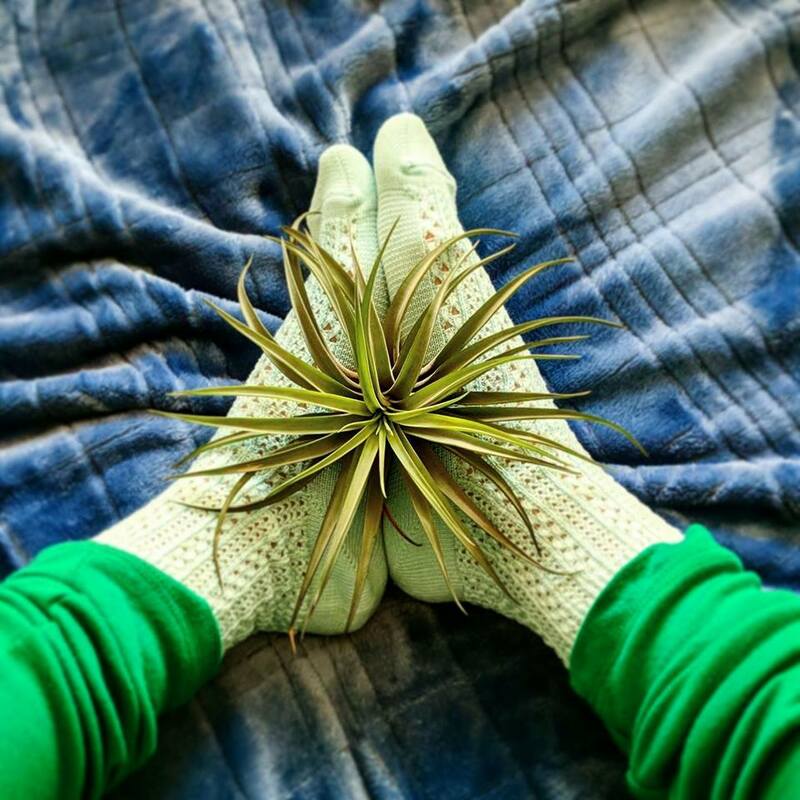 Not only can you receive a gift, but you'll be giving back to others, since Sock Panda donates socks to those in need for every subscription purchased. To date, the company has donated nearly 100,000 socks to homeless shelters, hospitals, and under-privileged classrooms & low-income senior centers around the country. That's a lot of socks, and a lot of giving! Read more, here. Don't forget our furry and scaly fellow Earth-inhabitants this holiday! Shongolulu is a company that dedicates 10% of every dollar they make to global wildlife conservation efforts. Shongolulu's efforts help fight poaching and deforestation, aid in rehabilitating and releasing injured animals back into the wild. Read more, here. What fun it is to receive a package in the mail - and what more fun it is to be helping someone else in need. 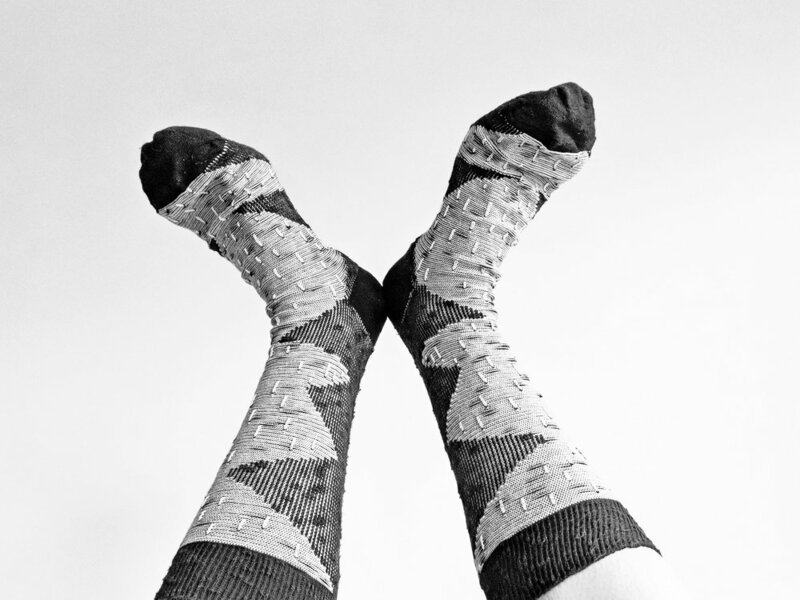 Sending Socks does just that, as they donate 1 pair of socks for each subscription sign-up. You may recognize them from their shiny red envelope and sock images on Instagram @sendingsocks. Read more, here. Thanks for reading, friends! We hope you love our content, and will continue to support our blog - feel free to comment below what you would like to see & read about next! We've got some good things lined up for 2018. Just a few weeks ago, I was questioning the existence of a summer as I tapped my feet to the rhythm of raindrops; meanwhile, I finally received a long lost package in the mail. Truly a lost package; I had won some pairs of Ballonet brand socks a while back, and I was so excited to get them. So I waited, and waited, and waited...it turns out that they very well could have traveled around the world and back until they made it into my mail box ;) After all that, you can safely assume that I was surprised to see them! I let my imagination run wild with the photo shoot - did these cotton treasures stealthily evade jaguars in the jungle? Hide in the treetops while the monkeys searched high-and-low for their next fashion accessory? Or maybe I've had a little too much sun for my own good. Nevertheless, I had to try them on for myself. Ballonet is an amazing brand based out of London, and their styles show off more than just excellent color choice. Among a collection of unique geometric graphics and lovely stripes, my favorites happen to be "Forest" and "Hills." The pair featured in this post is titled, "Pixel" and how appropriately named, with it's tonal-colored blocks of blue. Made from a soft and quality combed cotton blend, I rank this brand as one of my favorites; especially for gift-giving season. Anyone who knows me knows I am most definitely, unequivocally, undeniably...a "cat" person. So, when asked to choose from the vast selection of styles from Ozone Socks, I could not pass up the opportunity to try out one of their animal-inspired styles; designs that raise awareness to animals that need a little more attention from us, well, humans. I love the attention to detail in both design and story from this brand. It is very clear, from the first time I saw a pair of Ozone socks in a boutique up in Rochester, NY - that this was a quality-focused brand. I felt the socks and knew that whoever created these, really cared about what their consumers were getting. The knit-in designs are exquisitely executed from a manufacturing perspective; I'm always on the lookout for great use of technique and process. Back to socks; Ozone offers a Sock of the Month Club, which is great if you need gift-giving ideas. And who doesn't enjoy a great pair of socks? Still not enough to settle your cat-fix? Check out one of their latest styles, "Cat Conga" - I'm thinking I need to buy myself this pair :) Enjoy!